Looking for ways to set up a profitable website and drive your business? Congrats – we’ve got you covered. It’s not a secret anymore that there are many ways to build a website that can promote your brand or company 24/7, 365 days a year. When still in doubt, just remember no employee will do this. The best thing is that anyone can do it even with zero technical experience. Let’s learn more. The reason to launch a website is to promote your product and earn money. Raise your hand if you wish to set up a website with minimal fuss? Well, yep, thanks to a wide variety of easy-to-make website creators popping up all over the place that’s simple as that. However, choosing the right one for your business can be an overwhelming task. In order to save your time and effort, lets ’start the ball rolling. To get back to the point, it’s crucial to have a website designed to drive your business. From the moment you accept this, it’s time to choose the right platform to build your website. Well, depending on what ’right’ means to you, there are many options available. Millions of users choose eCommerce platforms if they want to focus solely on selling products. Are there are many reasons why. To begin with, Shopify is the number one choice for millions of serious business owners. If you’d like to launch an online store with the focus on selling products, Shopify is just the thing for you. Well, it’s flexible, easy to get started with, and is able to grow with your business. This solid eCommerce platform offers a powerful management functionality and a big number of in-built features. So, what are other benefits that make a Shopify user happy? The best thing is that Shopify will work in favor of your business, not against it. With Shopify, it’s easy to sell an unlimited number of products across different channels and platforms. Make sure your website is secure and fast to load, so your visitors can get the best user experience ever. 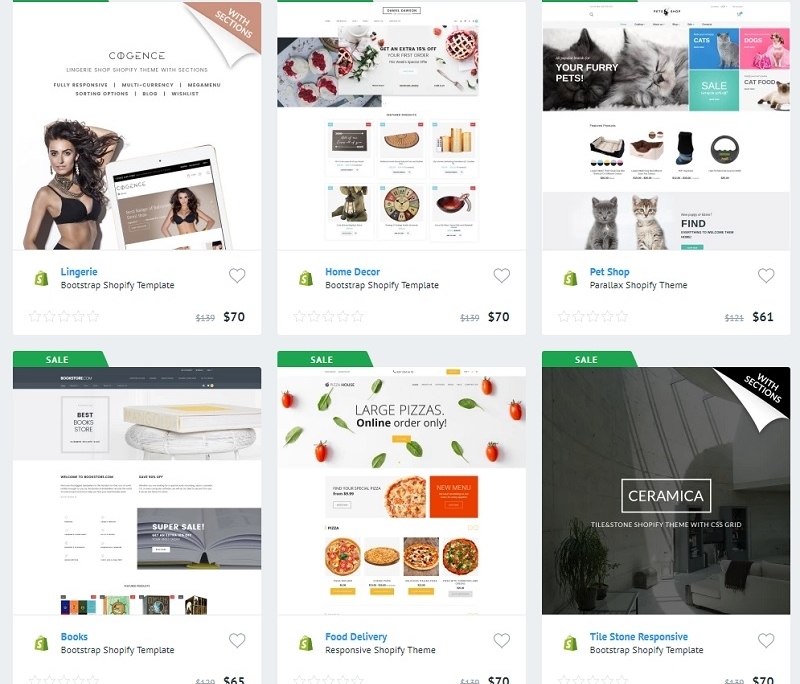 There are tons of beautiful Shopify blog templates offering a range of customization opportunities. Thus, you can improve its interface to match your unique business requirements. Simply, with minimal fuss. On top of that, Shopify is a SEO-friendly. Thus, your website will attract more natural traffic. 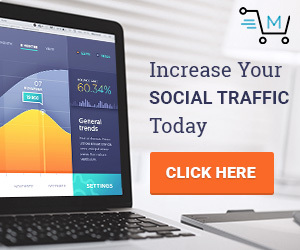 More traffic, more conversions, more sales. That’s the fact. Not to mention, it’s great 24/7 support, tons of advanced features, multiple payment gateways, fast loading speed, multi-currency and multilingual support. With all these benefits, you can create a compelling online store without breaking a sweat. Thanks to its clean and functional dashboard, you can edit inventory, add new pages, change menus, and alter other important settings. To sum up, Shopify can help give a big cash injection to your bottom line. You can always check its inventory and give it a try. Say, you wish to build a website designed to drive your business and generate leads, then WooCommerce platform is your best choice. To make things clear, WooCommerce is a WordPress plugin for eCommerce. If taking into account that WordPress is one of the best CMS platforms used by millions of users around the world, WooCommerce might be the cream of the crop for you. You know, the abundance of the medical WordPress themes as example is one of the perks of choosing WooCommerce. Think of it this way, if you already run a WordPress website, migrating it to WooCommerce is one of the best options to consider. That’s it. Well, WooCommerce is a highly flexible platform allowing you build a website with zero technical experience. Moreover, it’s free and open source, user-friendly, and offers a lot of room to you for customizing your online store to a great level of uniqueness. So without hacking into any coding, you can give your website completely new and vibrant look. With tons of extensions, you can expand the functionality of your e-store to gain the attention you need. Make sure, with WooCommerce, your online store will look professional and make you money. 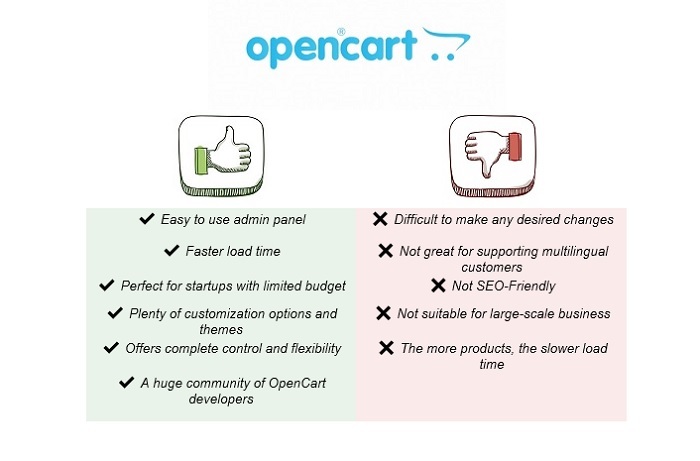 To begin with, OpenCart is a lightweight eCommerce platform which is popular among all small startups. It’s a great choice for online stores selling every kind of product, digital, virtual, and other. Simply put, for less investment, you can set up a quite competitive store. Moreover, OpenCart is simple to set up and use, offers a big number of beautiful themes, and uses Ajax technology to reduce load time and increase your store speed. Thanks to a simple admin panel, you can manage your store without a sweat. What’s more? OpenCart supports multi-store function to help you manage several different stores from one panel. Seems like a way to go. Not to mention that OpenCart is a highly functional eCommerce platform. With over 7000+ extensions, you can easily expand the functionality of your e-store. Anyway, you can always learn more about OpenCart to make an informed decision later on. It’s safe to say that Magento is one of the best eCommerce platforms which offers the highest level of flexibility and control over your online store. Once you choose Magento, your eCommerce options will be almost endless. It’s a great choice both for small and medium-sized businesses. Besides, built with SEO efficiency, your Magento online store will give a better chance to rank on search engine results. Wish to spread the word about your big thing? Connect your shopping cart with the third-party integrations like Ebay, MailChimp, PayPal, and more. Just to make things clear, Magento can support up to 500,000 products on one site. Thus, it makes sense to choose Magento as your ideal shopping cart if you need lots of space for future growth. 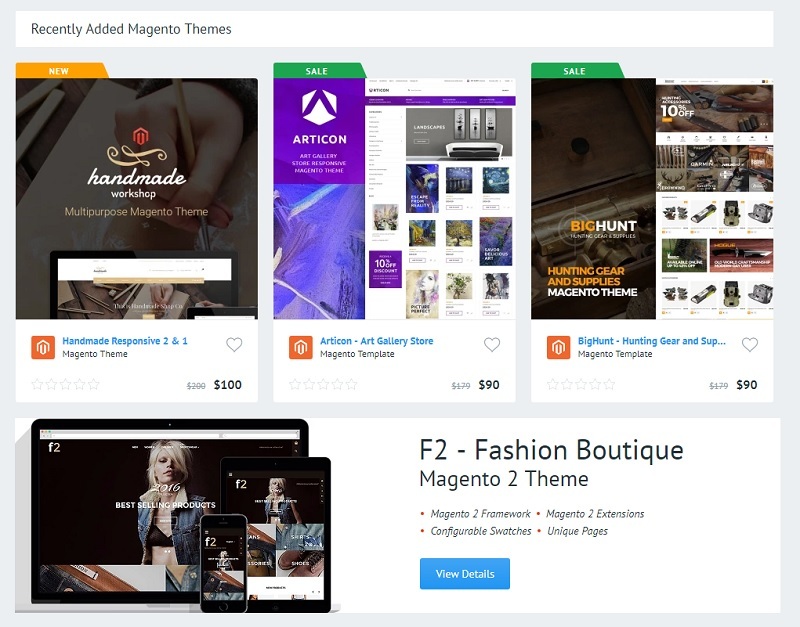 On top of that, there are tons of beautiful Magento themes, a gigantic worldwide community, built-in upsells and cross-sells, and mobile-first approach. Definitely, that’s only the icing on the cake! Don’t waste your valuable time and join Magento today. Don’t miss a chance to try this great or better said, the perfect solution for creating a modern and highly-functional website. It suits best for both experienced users and newbies alike. MotoCMS is a great combination of SaaS website builder and CMS which allows you create a website of any type and complexity. The best thing about MotoCMS is that anyone can do it without hacking into any coding. No coding, no headache. Moto CMS suits best for those who wish to achieve maximum results with minimum efforts. If you haven’t got a clue where to start, try a free 14-day trial option. What’s the catch? Well, you get 14 days to explore the power of MotoCMS. You can do everything in your power to learn how to change settings, try different widgets, fonts, and styles to make a million-dollar website with less investment. Play with it Header, Footer, Content, Media Library, Gallery, and much more. Besides, you can upload your web template files to transfer your website into something entirely unique. 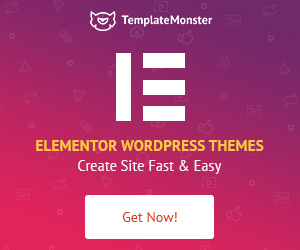 The trick is, however, is not to get lost in a huge inventory of incredible MotoCMS templates. You know, for $199 you get a great user interface, drag-and-drop functionality, responsiveness, eCommerce functionality, and much more. Simply put, with so many benefits your website can be almost unique right from the start. Moreover, you can always get a friendly 24/7 support when you feel you need assistance. With Moto CMS, you don’t need to pay a fortune to set up a website designed to drive your business. 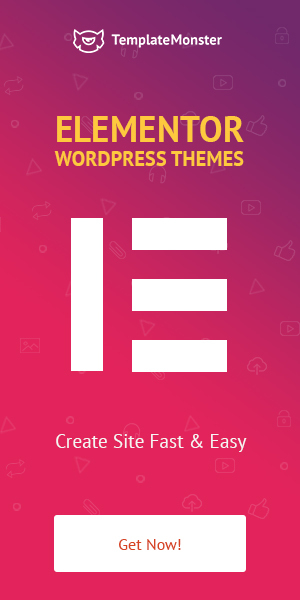 Well, Weblium might be your best bet when you wish to get a unique ready-to-go website in the mere 2 days. Sounds intriguing? Let’s discuss. Weblium is your most advanced do-it-for-me website builder as of today. The best thing about it is that you get a turnkey website with the ability to manage it yourself like an expert. To put it simply, it eliminates the need to build a website by your own. The point is, a team of pros creates a unique design within 1-2 days, and in the end, you get a professional website with tons of bells and whistles. Now, you can manage it yourself without the headache of any coding. That’s it. So, you may ask what are the real benefits of Weblium? The reality is that with Weblium you get already customized website ready to go live. It means your website looks unique and absolutely matches your business requirements. Moreover, your website gets an impressively high load speed which means it attracts a large amount of free search engine traffic. On top of that all, your website is SEO-friendly and fully responsive. Simple and convenient. So, what’s still holding you back with all these benefits? Price? The point is, the charge for success policy ensures 100% money back guarantee if you’re not happy with the result. The price includes annual subscription, hosting & SSL-certificate, free domain name, unlimited storage for your website, and much more worth your attention. 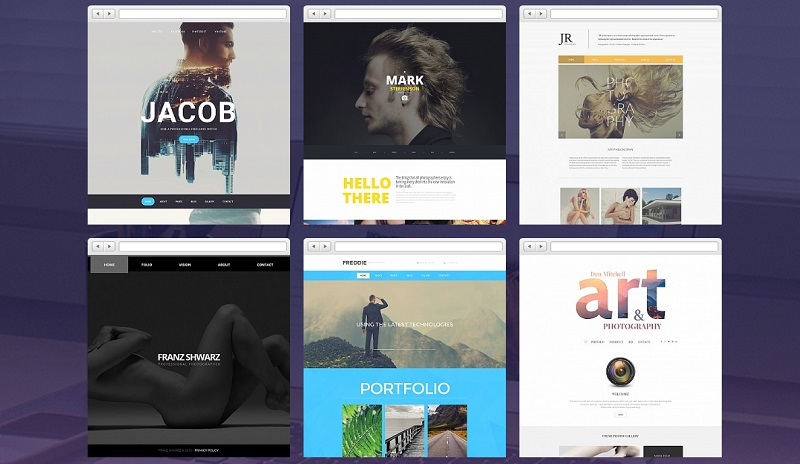 So, are ready to take things in your own hands and get a professional website built by pros? The bottom line, we are spoilt for choice. The bigger the choice, the harder is your pick. Anyway, remember it all depends on your business and your goals you wish to achieve. There are more factors to be taken into account, too. However, what really matters – your idea of success. As a pretty bonus and a Big Thanks for Stopping by we’d like to give you this Ultimate Step-by-Step Guide to Your First Online Store. 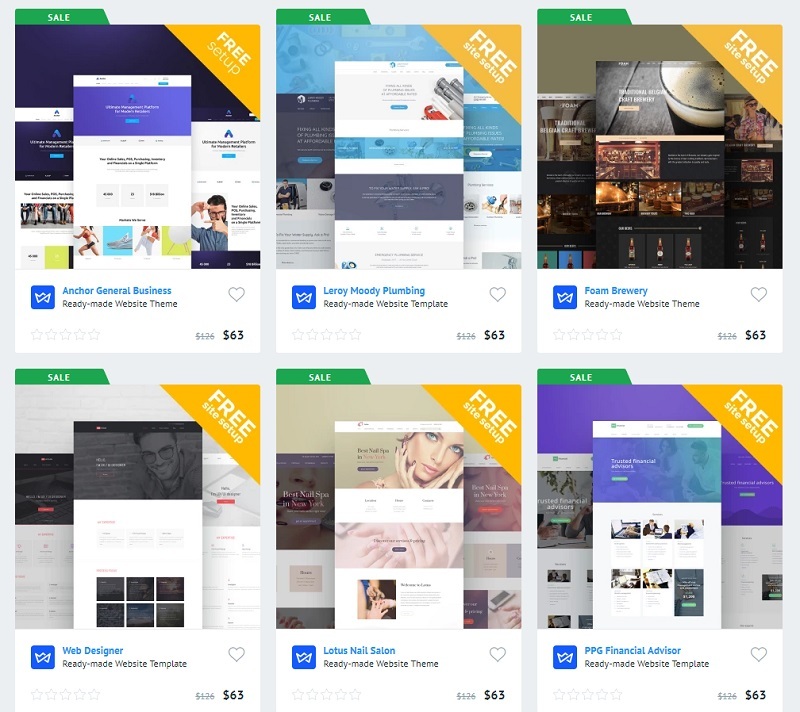 With these free ultimate guide, you don’t need to pay a fortune to set up your site. Just learn some tips on how to run your online store with minimal fuss. Don’t chase success. So, set up a profitable website and drive your business. Don’t keep your customers waiting. So, which platform will best work for your business? Share your thoughts.